One very prominent example of this dilemma is a recent injunction that a New York court awarded Elsevier, the largest academic publisher in the world, allowing it to shut down the web platforms Sci-Hub and Library Genesis, which serve for many students, academics and non-academics across the world as the only source of access to scientific journals and books. 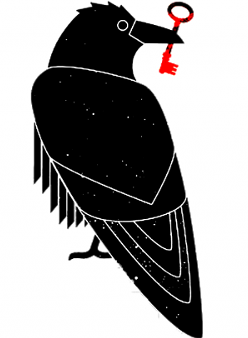 For Alexandra Elbakyan, founder of Sci-Hub, this case questions fundamental attitudes towards access to knowledge and culture: »If Elsevier manages to shut down our projects or force them into the darknet, that will demonstrate an important idea: that the public does not have the right to knowledge.« In the aftermath of the shutdown, an informal group of activists working on shadow libraries has issued a public call to mass civil disobedience. It was a call to everyone publishing their writing behind the backs of their publishers, circumventing pay-walls, sharing publications, maintaining repositories – custodians of the knowledge commons – to stand up publicly for the collective right to access to knowledge. In discussion with the signees of the public letter, Balázs Bodó, economist and piracy researcher at the Institute for Information Law in Amsterdam, will provide insights into his research on »pirate« libraries, while former fellows Marcell Mars, Tomislav Medak and Femke Snelting will present the Custodians.online letter. The event is part of the Public Library project and is held as part of the art, science & business program. The discussion will be held in English. Admission is free.